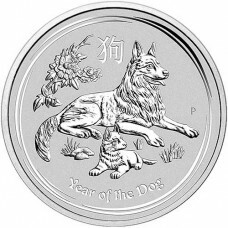 The Perth Mint Chinese Lunar Series is one of the most famous and popular coin series ever produced. Beginning in 1996, this series celebrates a new design each year for the 12 animals of the Chinese zodiac. 2019 is the Year of the Pig and Monument Metals is proud to offer an early opportunity to own this extremely popular series at what we believe are the lowest prices online. All in all, the Perth Mint 2019 Lunar Series Year of the Pig is bound to be one of the most popular bullion releases of 2019. Get yours while they are still available! Cointains 1 troy ounce of pure .9999 gold. Considered legal tender by the Government of Australia (Face Value of $100 AUD). 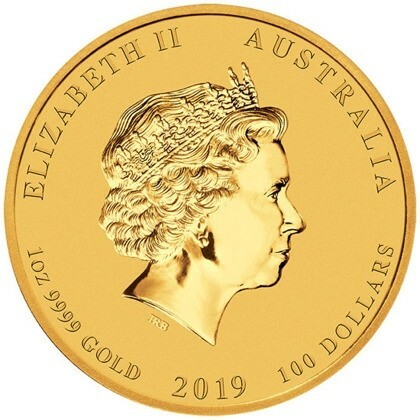 Obverse Design: Traditional bust of Queen Elizabeth II along with the date, purity (1 oz .9999 gold) and face value of the coin ($100 AUD). Reverse Design: Brand new for 2019. The reverse depicts four piglets and their mother along with the Chinese symbol for 'Year of the Pig’ and the Perth Mint’s traditional ‘P’ mintmark. 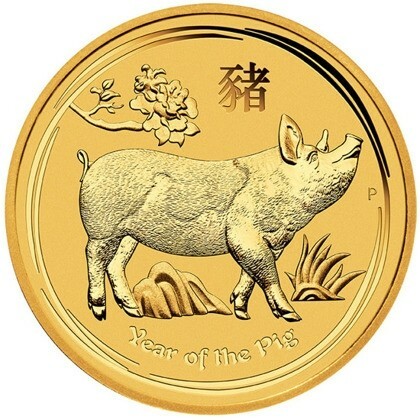 Best Prices on Year of the Pig Gold!